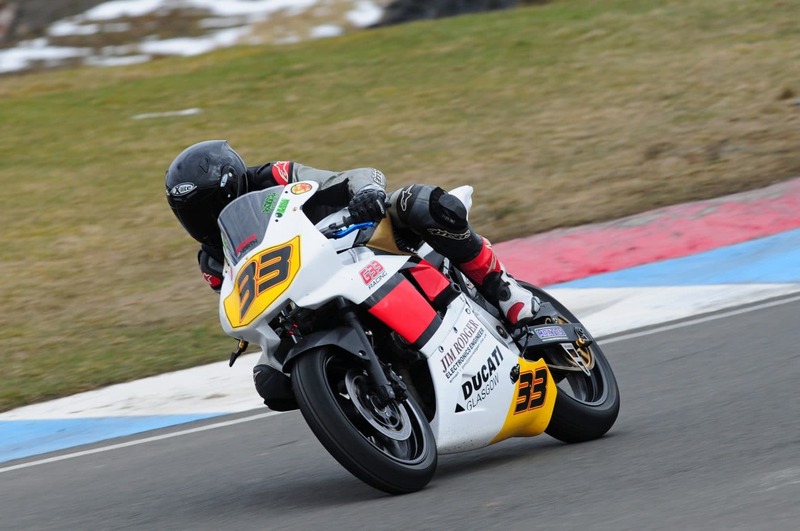 G33 Racing rider Graeme Bodel is being sponsored by Carnoustie Creative and he got off to a flying start in the first round of the Scottish Minitwins championship. As part of the sponsorship we created a custom WordPress blog design for Graeme. He was surprised how easy it was to update his blog and we customised a number of options so he could keep supports updated with qualifying and race progress. Placing a very credible 6th in class in his first ever race, he managed to complete a race on Saturday and come back for another on Sunday until it was red flagged. We’ll be attending some of the championship rounds later this year and hope to get photos of the man in action and the Carnoustie Creative badges on his Suzuki race bike. Racing at club level is a very demanding business with most of the riders also doing a lot of the tyre changes and bike maintenance. Keep it rubber side down Graeme and enjoy every moment!